Lexi’s got phobias about lots of things. Yogurt. Songs that get stuck in her head. Cashiers who think they’re good with kids. Her biggest phobia on Planet Earth, though, is eyeballs staring at her. Too bad she has a solo in the school Parents’ Day performance. Good thing she has a plan. If she tornado-twirls at blur speed, she can disappear onstage! Humorous read-aloud. Appeals to fans of Clementine, Judy Moody, and Ramona Quimby. Ages 6-9. 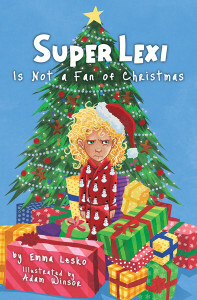 Super Lexi Is Not a Fan of Christmas – Now Available! 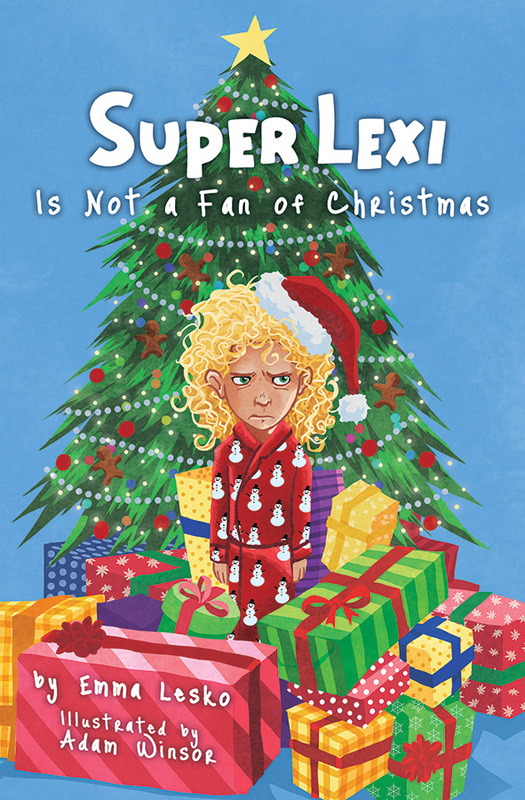 “Super Lexi is a charming kids’ book about sensory sensitivities.” – Steve Silberman, author of Neurotribes and investigative reporter, Wired magazine. “I saw a little bit of Lundgren’s Pippi Longstocking and Cleary’s Ramona Quimby in Lexi’s character…. 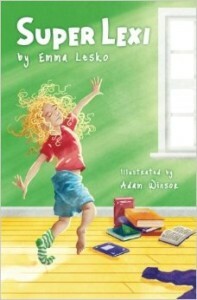 Emma Lesko has created a truly original character who promises to be endearing as well as enduring.” – Dan Arnsan, former children’s librarian and children’s literature instructor. “If you like Ramona Quimby and Junie B Jones, you will LOVE Lexi!” – Sherryl Difalco, parent. “As a pediatric occupational therapist I have several children I have shared this book with…We all love it! Thank you so much for giving a voice to children.” –Kathy Patten, pediatric occupational therapist.